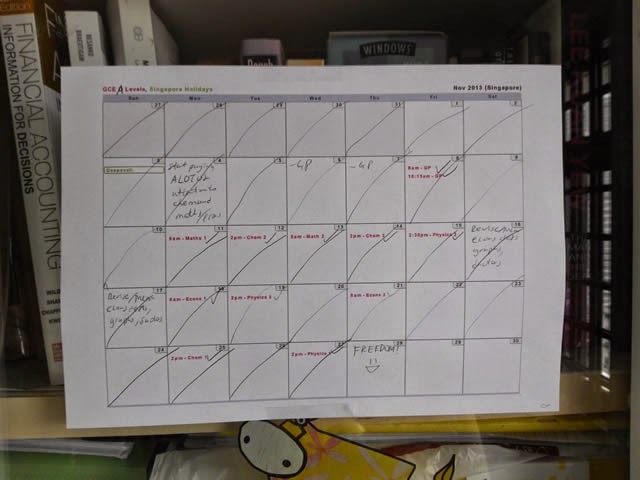 I have forgotten about this A levels exam calendar the daughter pinned to the glass door behind her desk. Just as well it gave me to the opportunity to have a pic of it. This was one terribly demanding exams and she was just glad it was over and even happier a few months later when she got her results. This is the sort of photos and I have collected many which means little to most people but special to her and us. The older the more more valuable.